Les Siècles are rapidly becoming period specialists par excellence. They possess one of the largest collections of historic instruments in the world and carefully choose instruments as close as possible to those that might have been used in the original performances of the works that they present. In 2010 François-Xavier Roth treated us to a revelatory performance of Berlioz’ Symphonie fantastique. More recently they have turned their hand to recording Debussy’s more ethereal writing with great success. 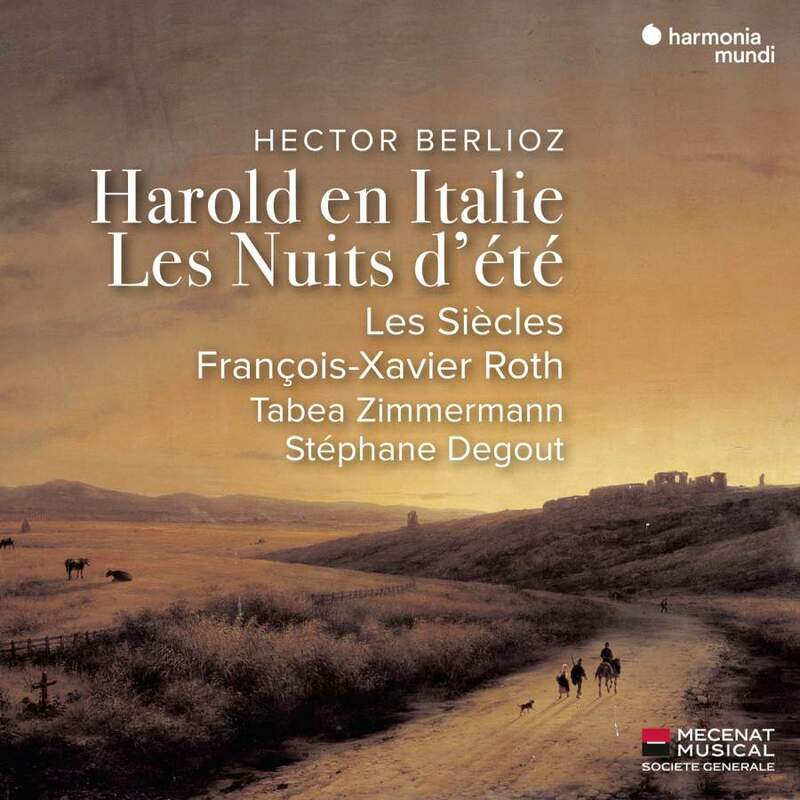 With this latest release they turn their attention back to Berlioz with accounts of Harold en Italie, Op. 16 and Les Nuits d’été, Op. 7 and one is struck immediately by the exceptional quality of the playing and the audio reproduction when compared to their earlier Berlioz release. For Berlioz’ second symphonic utterance, with its pioneering use of the viola, Les Siècles are joined by the German violist Tabea Zimmermann. The use woodwind and brass instruments from the middle decades of the 19th century together with the gut strings enables the solo viola to soar above them with ease. However when required the orchestra play with ample power in this rewarding performance. However for me the real treasure on this issue is Berlioz’ song cycle with orchestra. In the Les Nuits d’été, Op. 7 the much smaller forces of Les Siècles are joined by the French baritone Stéphane Degout. This work was originally conceived for four different voice types, but nowadays tends to be sung by a soprano or mezzo. However Degout makes a resounding success of these songs. His delivery is warm, with excellent tone, and he combines well-nigh perfectly with the rich and radiant orchestral accompaniment. If you enjoy the music of Berlioz then this is a disc which I urge you to explore without hesitation.